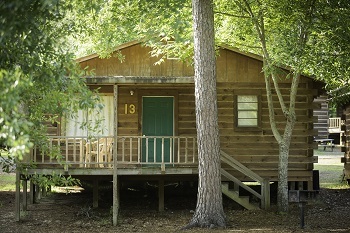 Bridge Bay Resort, located on the water at the base of Pendleton Bridge on the central part of the lake, offers you the feel of returning to your personal retreat. 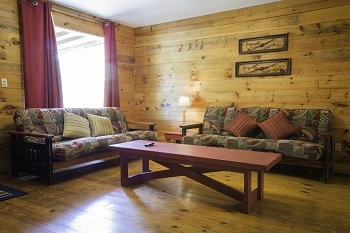 The log cabins, duplexes, and even the motel rooms, all with hardwood floors and rustic surroundings, are designed to give you that glad to be here feeling. Fisherman's Galley Restaurant is within walking distance. 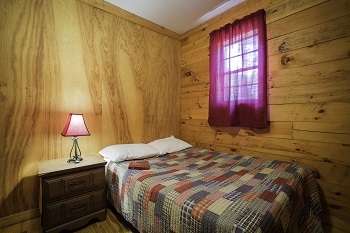 Lodging Details: One lodge has five bedrooms (sleeps 16 people). 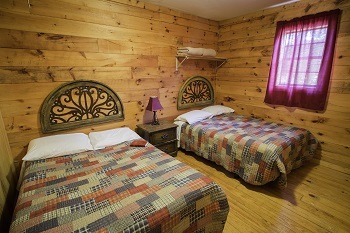 There are six motel rooms. 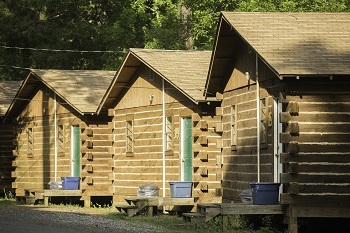 Each of the 22 cabins sleeps six , one mobile home sleeps six. 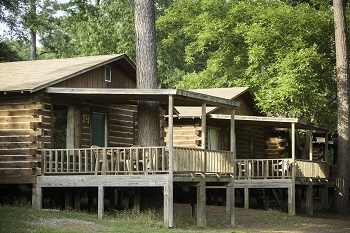 There are charcoal grills at all cabins. 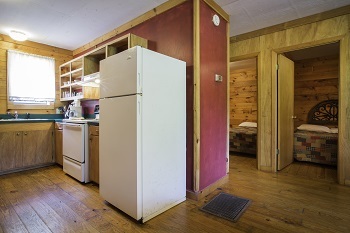 Refrigerator and microwave available in all cabins but not motel rooms. 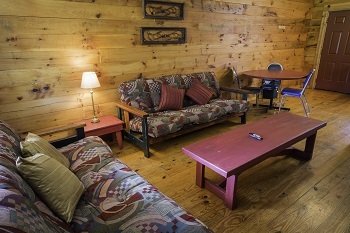 Meeting facilities: One outdoor pavilion (accommodates 15 people). 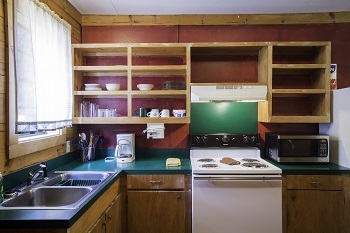 Fishing & Boating amenities: Fish cleaning station. Handicap Access: One motel room only is handicapped accessible. Pets: This is a pet friendly-facility. Call ahead for any specific details. Visa, Master Card, American Express, and Discover Cards accepted. Cash and personal checks are accepted too. Boat Ramp Lowest Usable Level: 165 msl.